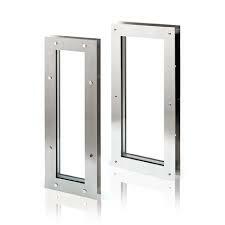 The glass light frame is intended to be used in classified hollow metal type; steel stiffened and honeycomb type doors. Vision Panels are option to view, to allow peoples entering and exiting to see the other side of the door. Reducing the potential to hit by swinging the door, Vision panes are a way of bringing borrowed light into inner spaces and creating a sense of openness. 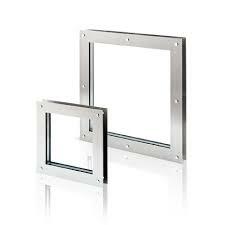 Vision panels are advanced to use to avoid space in sidelights, transoms or other glazing options. According to BS 476 part 22 standards Integrity up to 240 minutes.